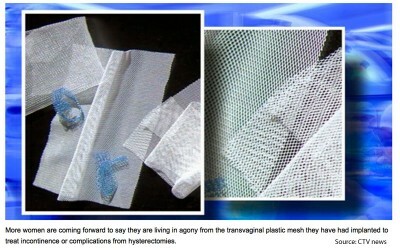 Surgical Mesh Complications and Class Actions Continue. 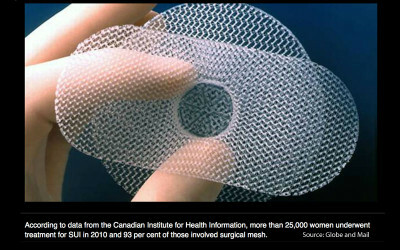 Last year we posted an article about Canadian Women suing over health issues related surgical mesh implantation. 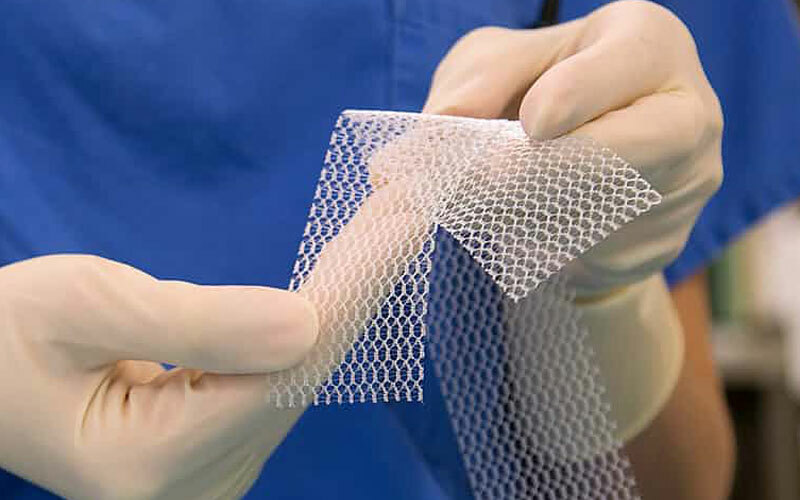 Surgical mesh implant is one of the solutions presented to women who suffer with prolapse and/or incontinence – essentially the ‘quick fix’ to an ongoing, extremely frustrating problem for many women. There is a growing body of evidence mounting that shows long-term health issues relating to the implants. The class action by Canadian women was just the tip of the iceburg. More and more complaints are being raised by women who have opted for the surgery and are now suffering the consequences – some women are even left wheel chair bound. There’s also speculation that surgical plastic implants can trigger auto immune diseases such as fibromyalgia or inflammatory arthritis. If you’re one of the one-in-three who suffers from stress incontinence, is it worth the trade-in to a one-in-three chance of fibromyalgia? If you are considering this option as a solution for your pelvic health issues, discuss it thoroughly with your gynecologist and know that this is not a risk-free surgery. Ask about why they’re recommending the surgery; one recent news article suggests that health care practitioners are being motivated by incentives such as new cars and ski trips! Do your research and consider multiple professional opinions before going ahead with the life-changing surgery. Make a list of important questions including details about your surgeon’s experience with the device and feedback they’ve received from patients. We will use this post to track links to surgical mesh implant news as we find it. If you have gone ahead with the surgical mesh, we’d love to hear from you. What does Pelvic Mesh Do and Why are Women Suing Over It? Pelvic Floor Mesh – The Right Solution?